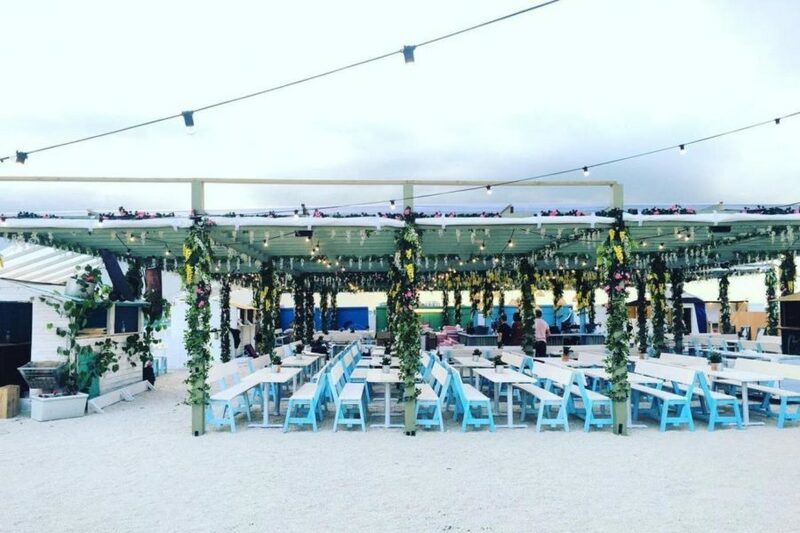 From 3 May 2017 for 22 weeks, Pergola on the Roof – West London’s largest rooftop dining experience, will be returning to White City to completely transform the top of the Television Centre car park into a picturesque vision of New York’s The Hamptons. After an incredible year of success in which Pergola on the Roof transformed their enormous rooftop from the original Mediterranean-inspired pergola to a Nordic winter forest, Pergola on the Roof will once again open its doors to the public, this time to reveal a taste of Long Island living. Once again, Pergola on the Roof will be hosting four exciting restaurant partners and two extraordinary bars at this 600-capacity venue, which will be completely redesigned and inspired by the summer destination of the USA’s East Coast. The new incarnation, open Wednesdays to Sundays, will bring the East Coast to London, decked out in white-washed wood and palm trees. Visitors can relax with a glass of rose whilst eating fresh seafood under Pergola’s palm trees or on one of their bookable thirteen-person day beds, and soak up the summer sun under Europe’s largest temporary pergola. So far, Patty & Bun, 8 Hoxton Square, Breddos Tacos and Bonnie Gull spin-off Salt ‘n’ Sauce all are confirmed for this year's run. Pergola on the Roof welcomed over 140,000 guests throughout 2016 and will continue to be the perfect venue to book tables for large groups and parties with family and friends.